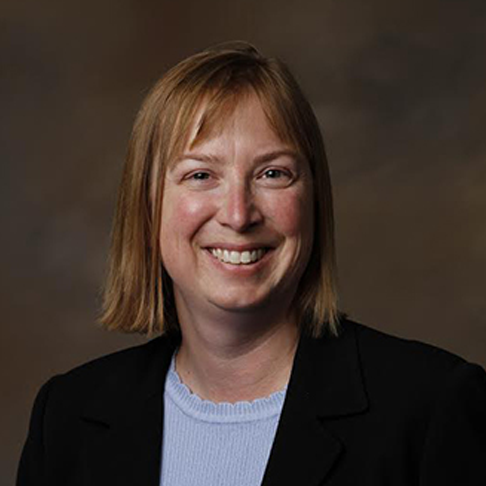 Shelley Minteer is a USTAR Professor in the Departments of Chemistry and Materials Science & Engineering at the University of Utah. She conducts externally-funded research, teaching at the undergraduate and graduate level. Minteer joined JCESR in 2015 to help take a more predictive approach to rationally designing anolytes and catholytes for redox flow batteries. She was focused on developing electroanalytical and spectroscopic assays for QSPR parameter determination. These assays were used with QSPR modeling to predict more stable electrolytes, electrolytes that minimize crossover, and more soluble electrolytes for non-aqueous redox flow batteries in collaboration with Matthew Sigman’s group at the University of Utah and Melanie Sanford’s group at the University of Michigan. Minteer also worked with Sanford’s group and Brett Helm’s group at Berkeley Lab to develop electroanalytical tools for studying self exchange in oligomer electrolytes. These projects have led to publications in high impact journals including the ACS Central Science and the Journal of the American Chemical Society.